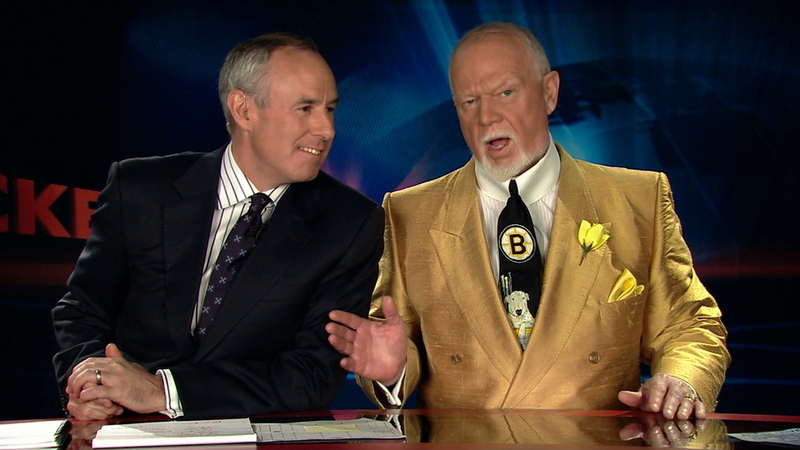 I seem to have missed both the conference finals—if you are only tuning in for Don Cherry’s clothing, Detroit beat Chicago in five games and Carolina was swept by Pittsburgh. 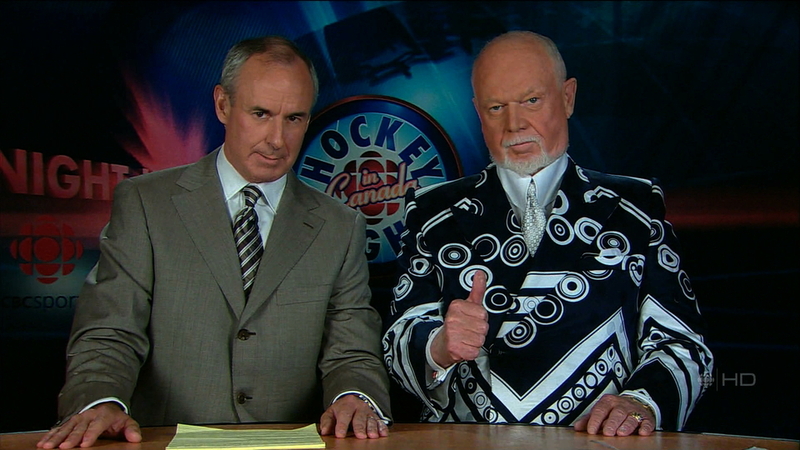 But I recorded the games on my DVR, and will get around to putting up Grapes in all his glory very soon, I promise. 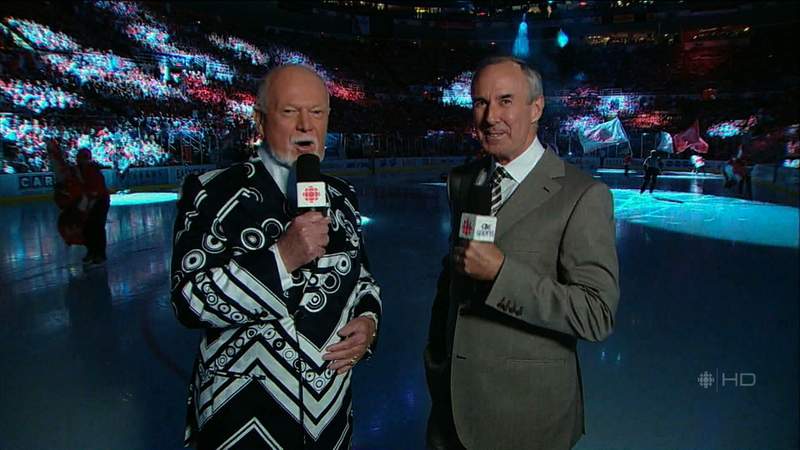 But seriously, check out the fabric on tonight’s jacket! 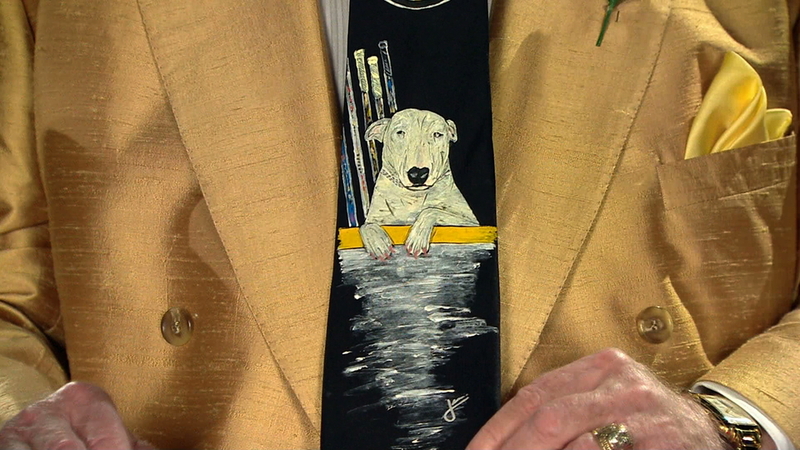 It’s all wrinkly round the shoulders, and looks thin and flimsy in the closeup. 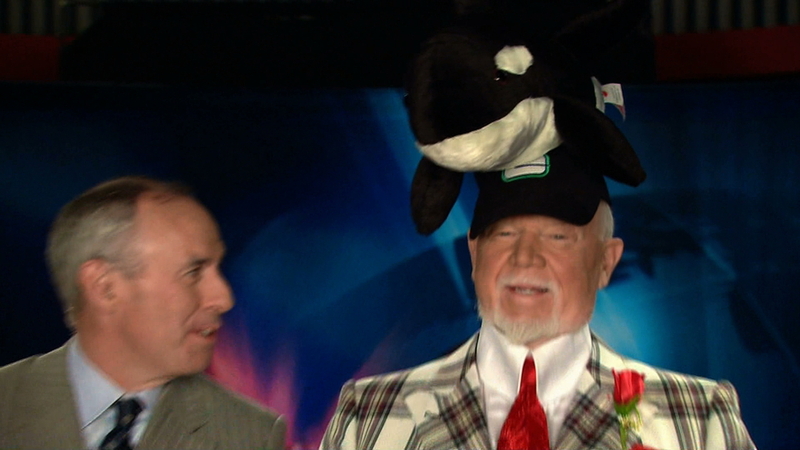 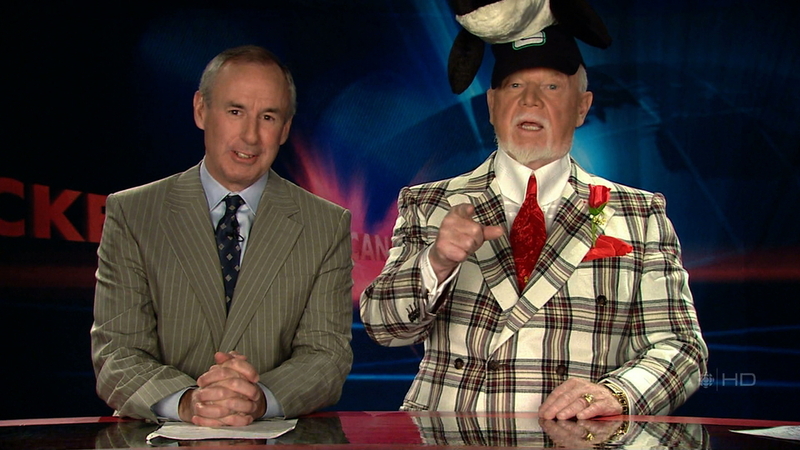 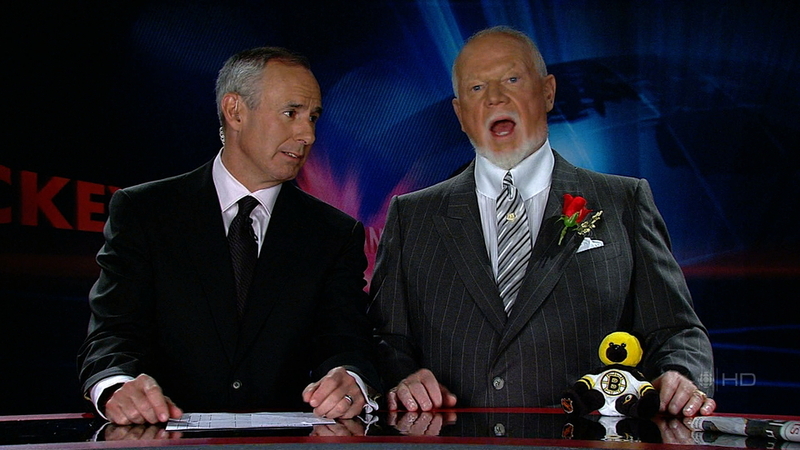 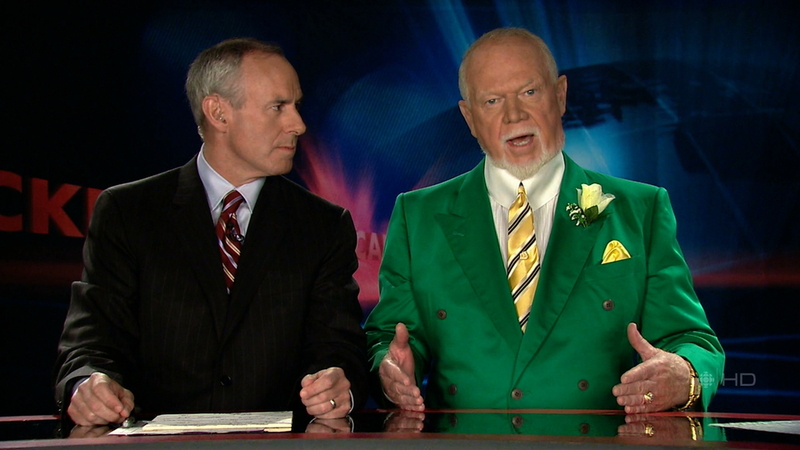 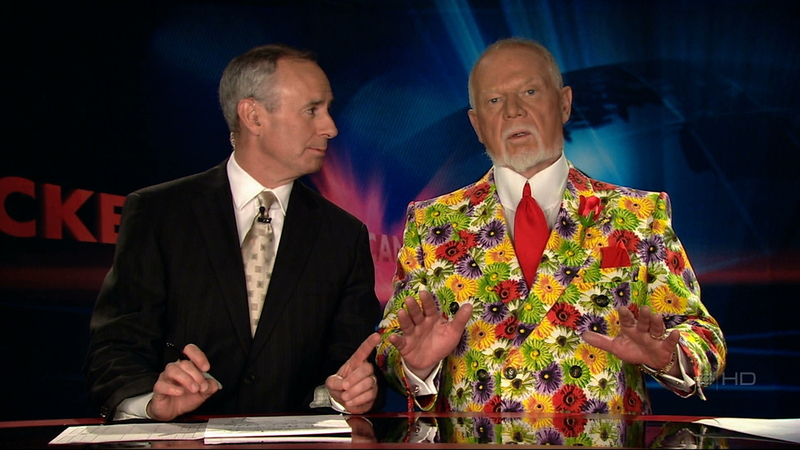 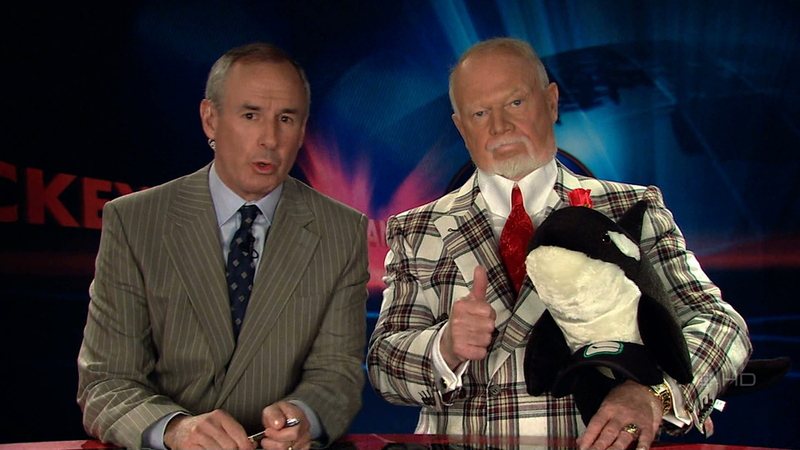 Okay, so yeah, we know Grapes loves him some flower jackets from time to time—but this one might take the cake. 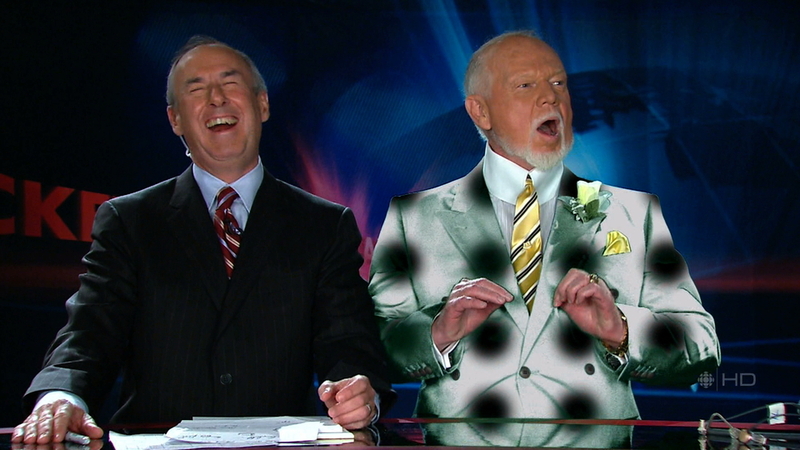 Mind you, I said might. 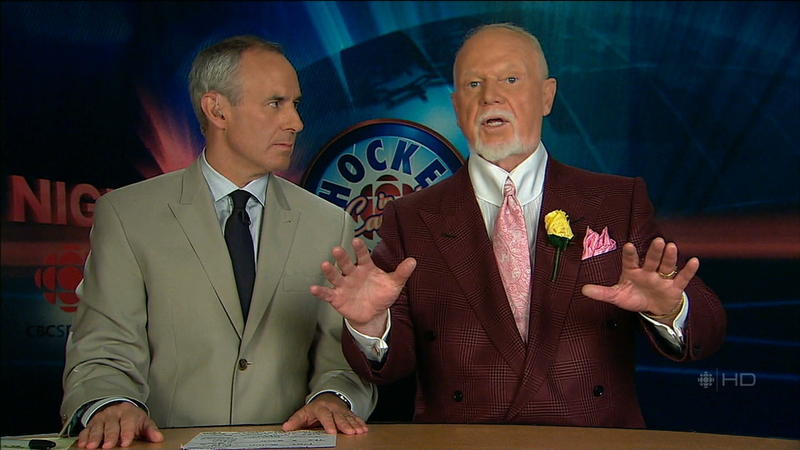 In a departure from his normal sartorial fare, Don Cherry showed up to Coach’s Corner tonight wearing what is one of the most pedestrian, conventional, and—dare I say—boring suits in recent memory. 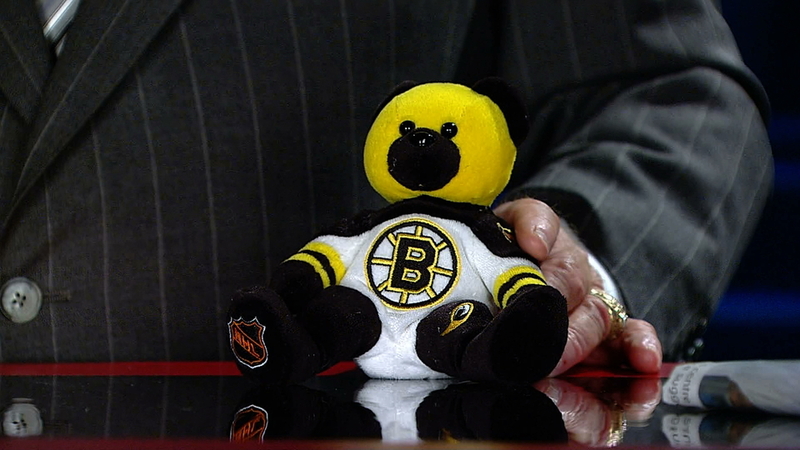 But he spiced it up with a cute little stuffed bear in a Boston Bruins outfit—so I guess that makes this a Boston Bruin?